If the world's most ambitious climate change goals are not met, the Himalayas could lose two-thirds of its glaciers by 2100, according to the report, 'the Hindu Kush Himalaya Assessment'. This assessment report establishes the value for the 240 million hill and mountain people across the eight countries sharing the region and for the 1.65 billion people in the river basins downstream. The Assessment was put together over five years by more than 200 authors and includes input from more than 350 researchers and policymakers from 22 countries. 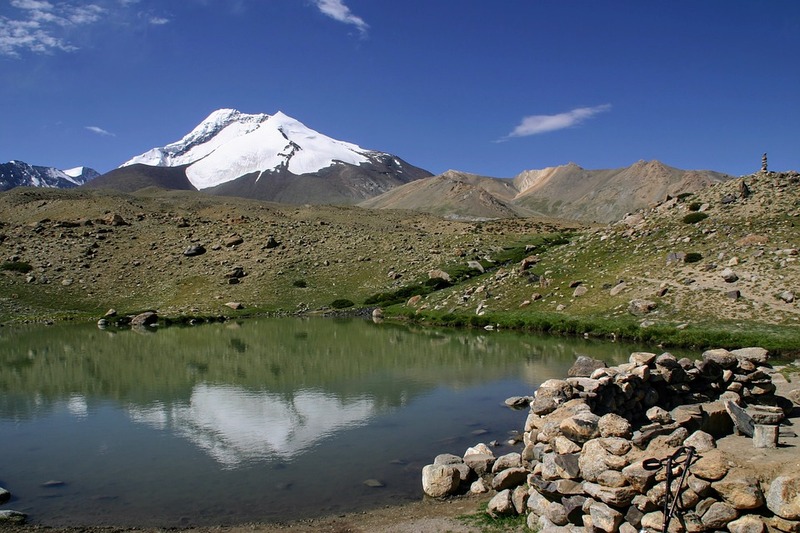 Eddy Moors, Rector of IHE Delft and professor of Water and Climate at VU University Amsterdam, contributed to the chapter 'Exploring Futures of the Hindu Kush Himalaya: Scenarios and Pathways'. To illuminate future uncertainties and inform strategic plans, this chapter presents three qualitative scenarios for the status of the Hindu Kush Himalaya through 2080. Over six successive workshops, decision makers and scientists representing HKH countries determined what would constitute a ‘prosperous’ HKH scenario for 2080—along with its less desirable alternatives, ‘business as usual’ and ‘downhill’.